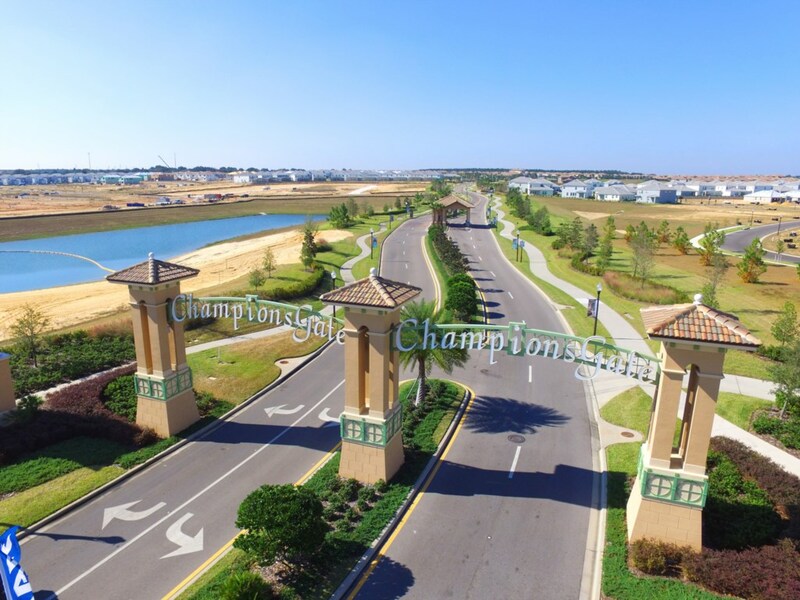 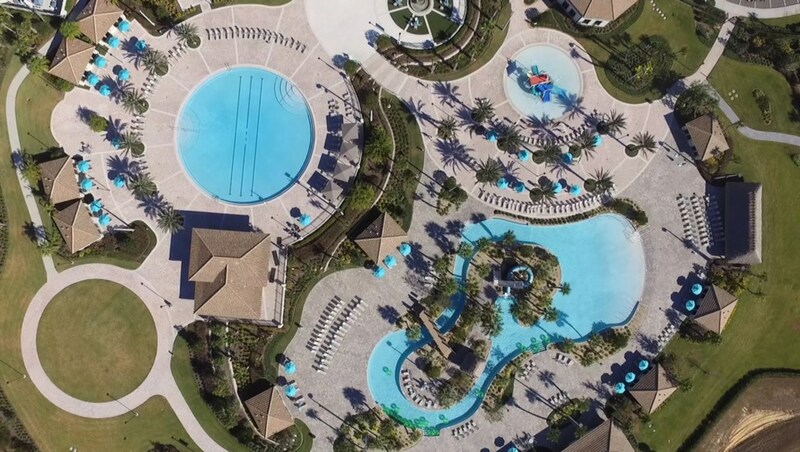 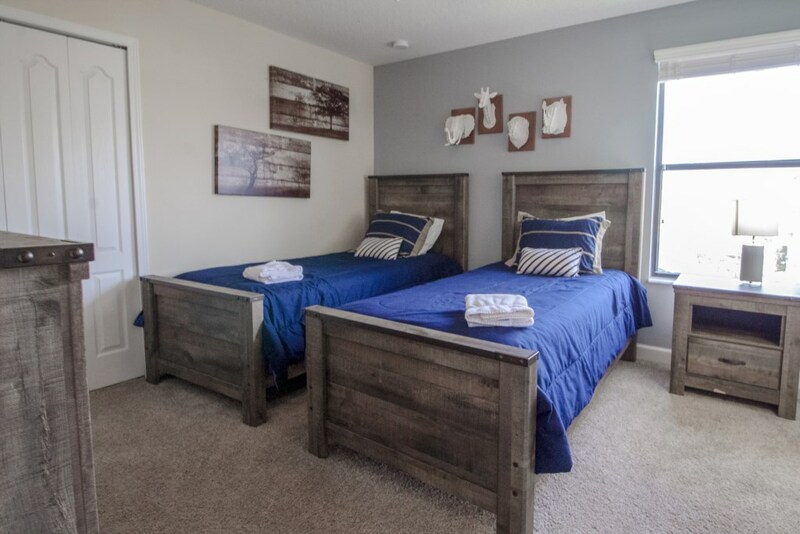 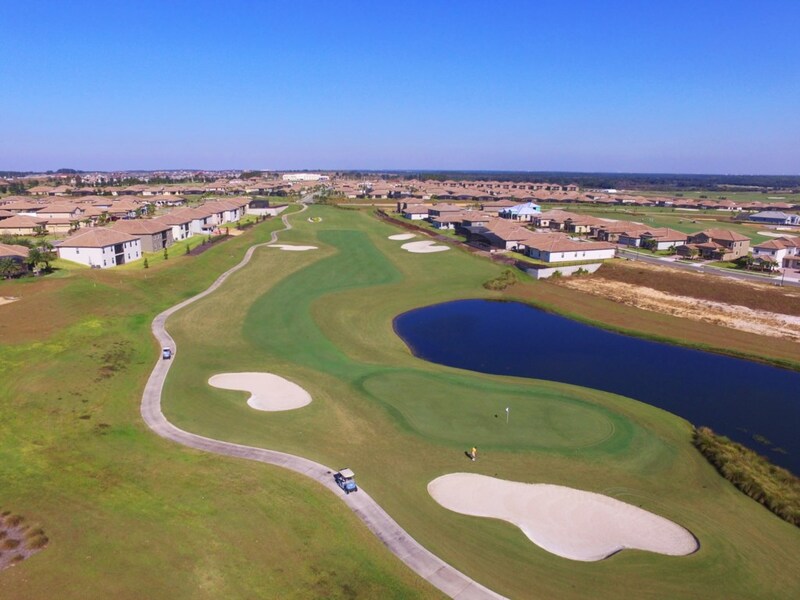 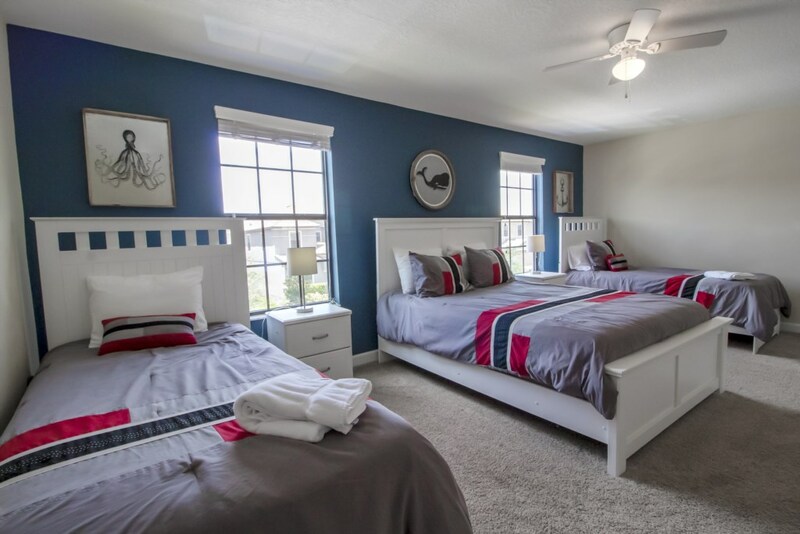 Welcome to this luxury and modern 9 bedrooms and 5 bathrooms at Champions Gate Resort, which accommodates up to 20 people! 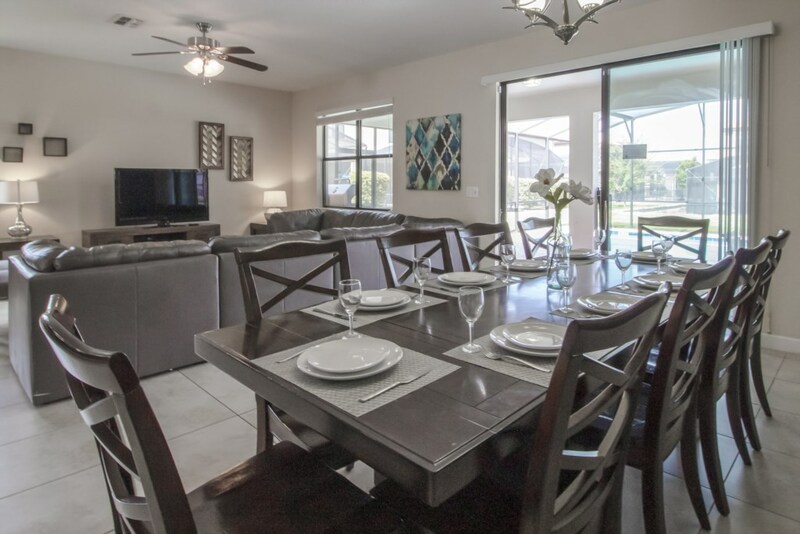 Absolutely perfect for family groups, this property features all the comforts you need, spread out in a 2-floor setting. 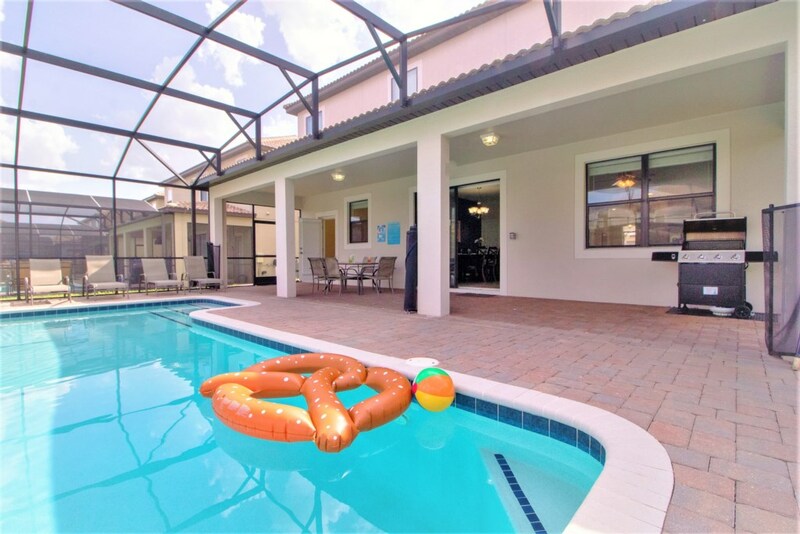 The patio area has a large private swimming pool, spa, grill and large backyard. 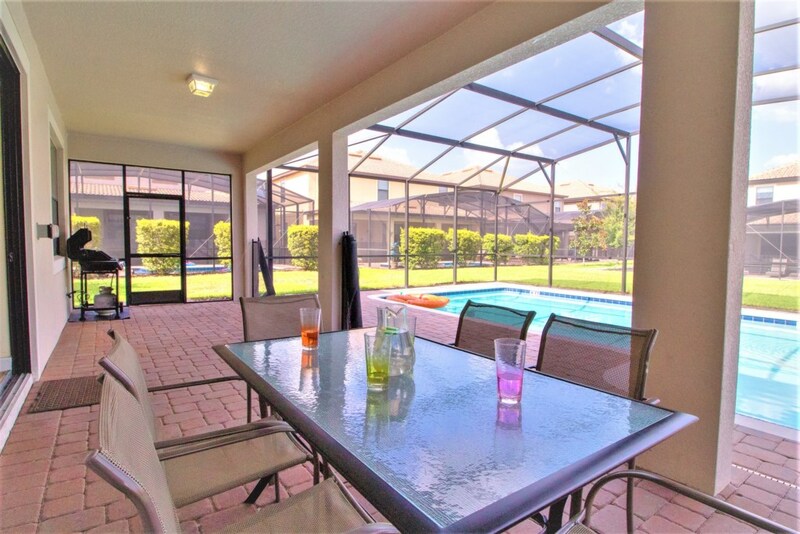 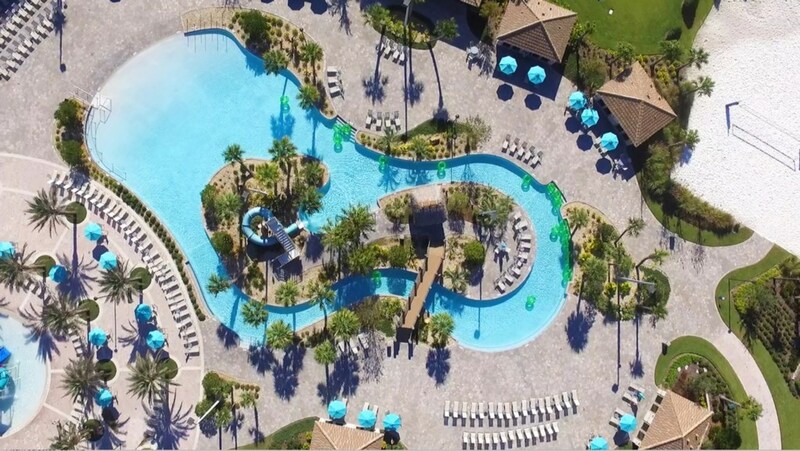 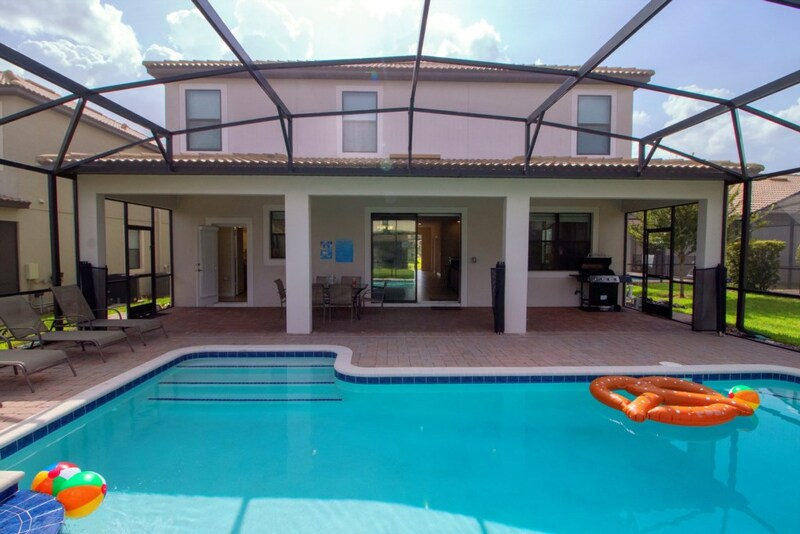 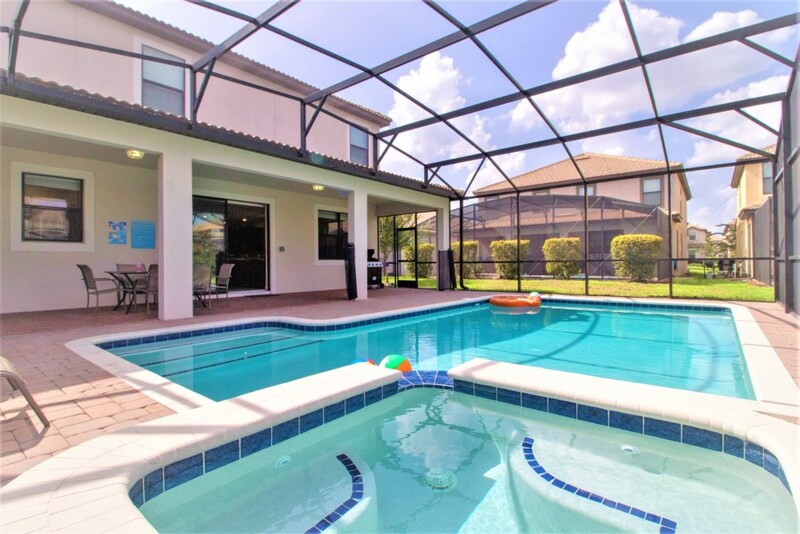 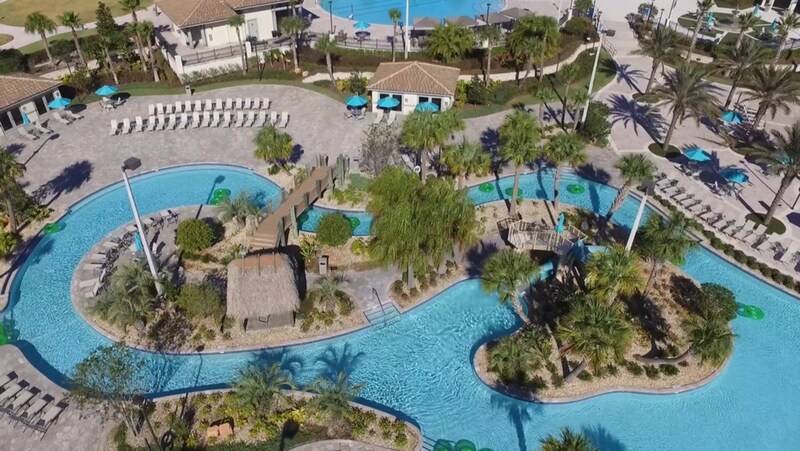 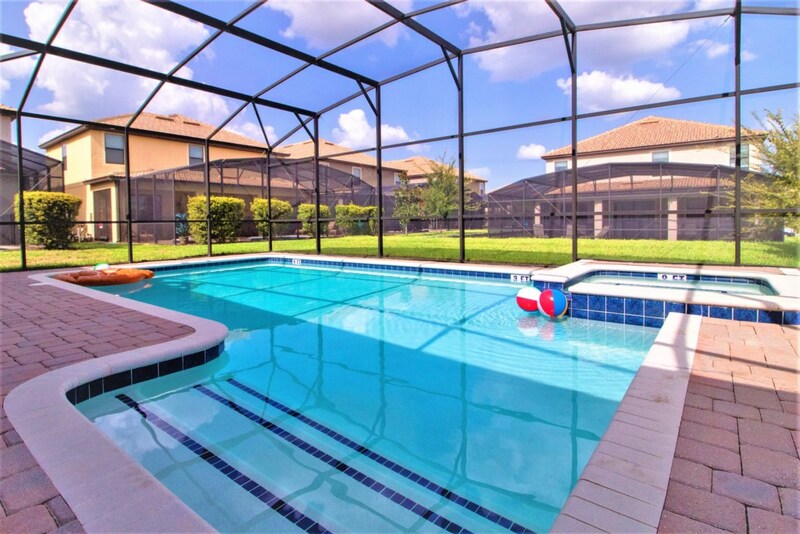 Your family will love hanging out in the patio and enjoying the beautiful Florida weather. 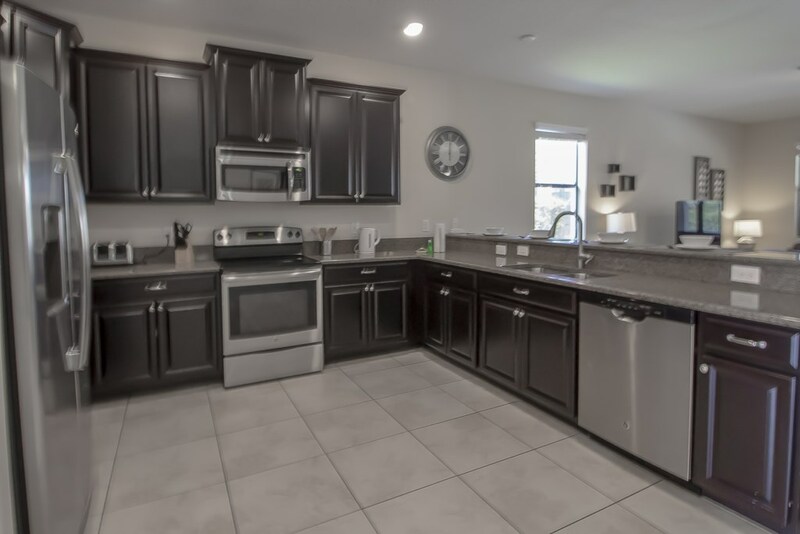 The kitchen is fully equipped with all the modern appliances and kitchenware necessary to make cooking and gathering easy. 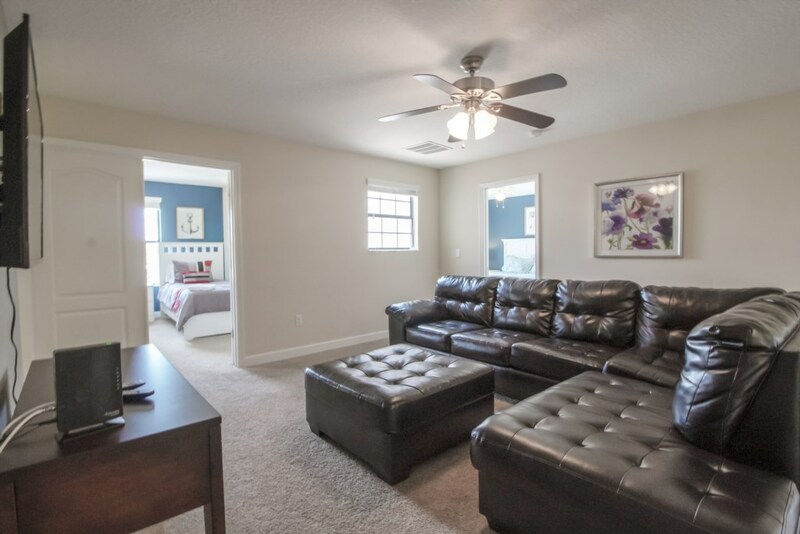 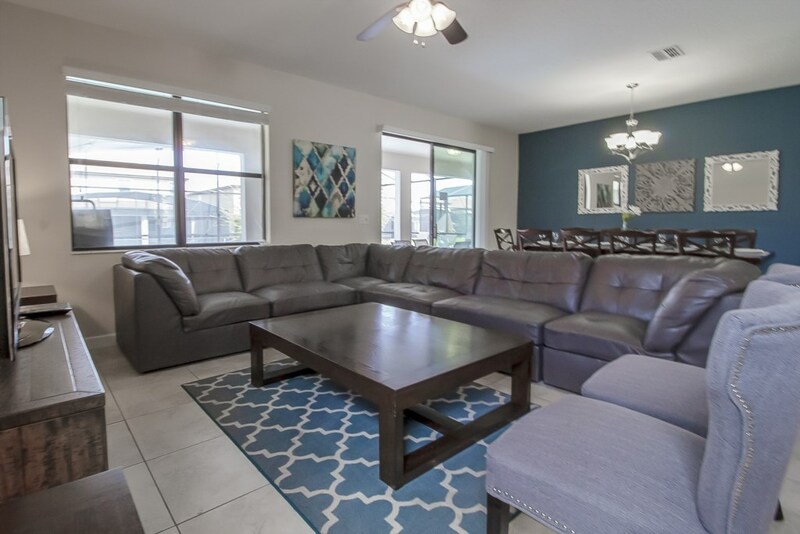 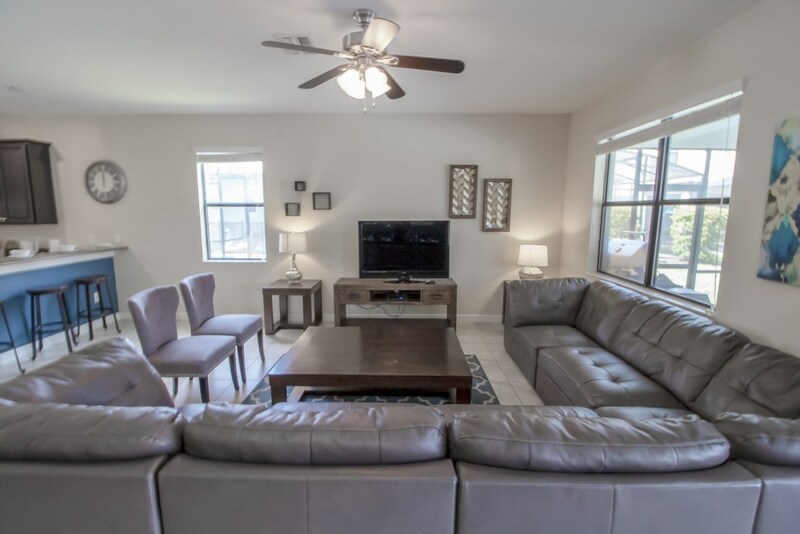 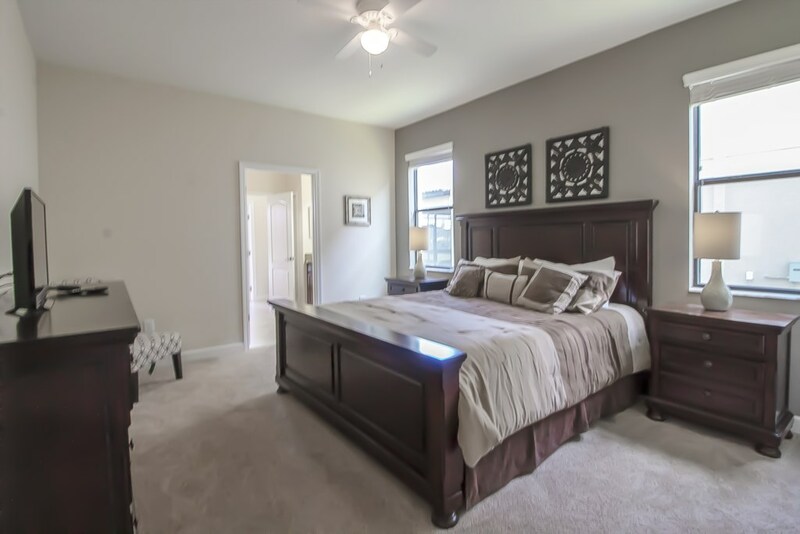 Everyone will certainly enjoy the family room located upstairs with comfortable sofas and flat screen TV. 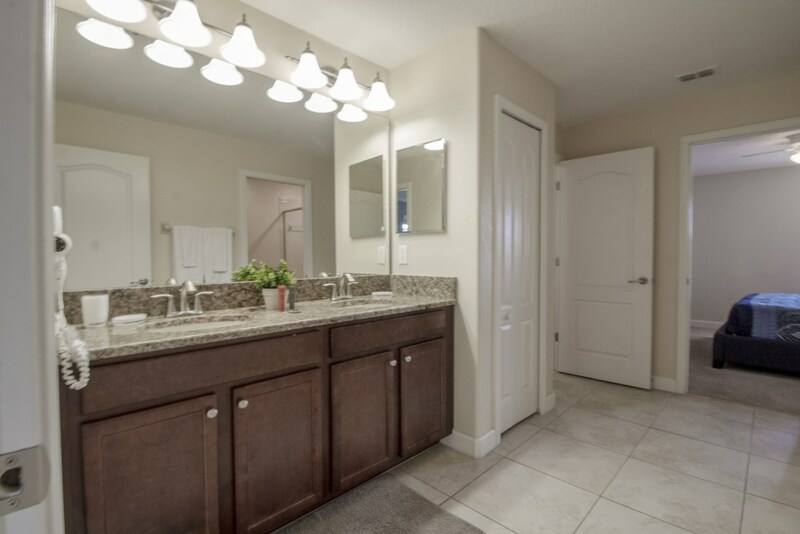 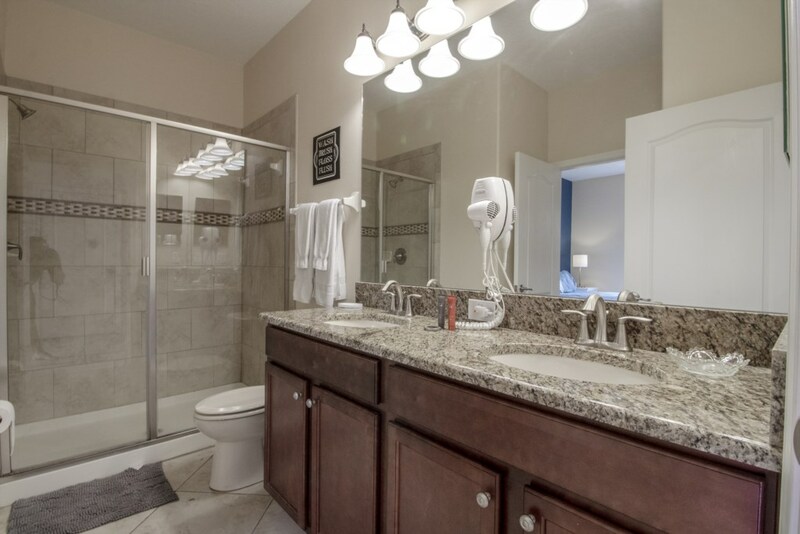 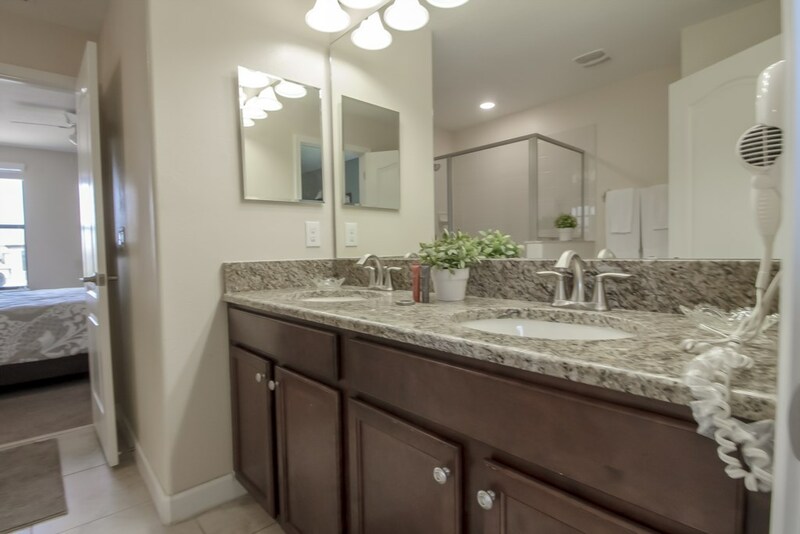 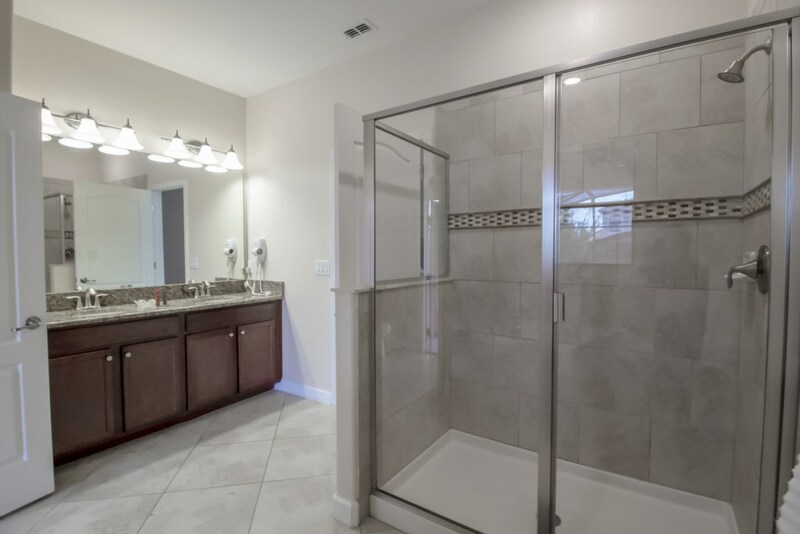 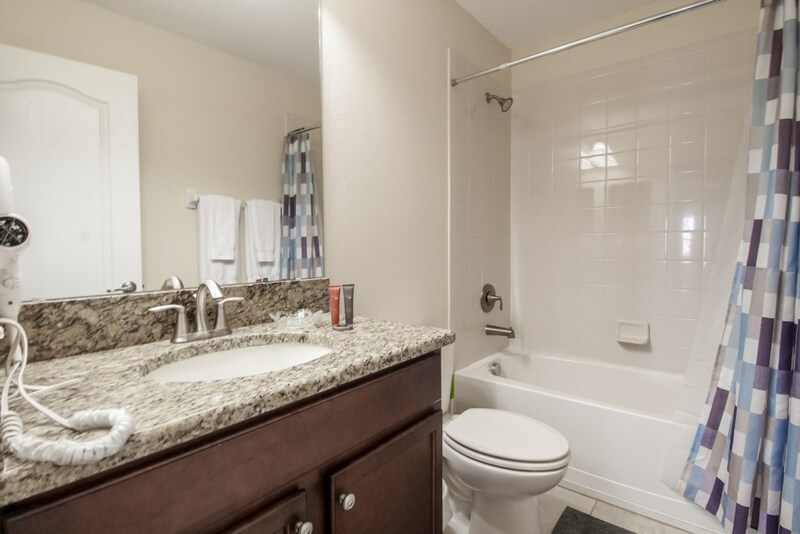 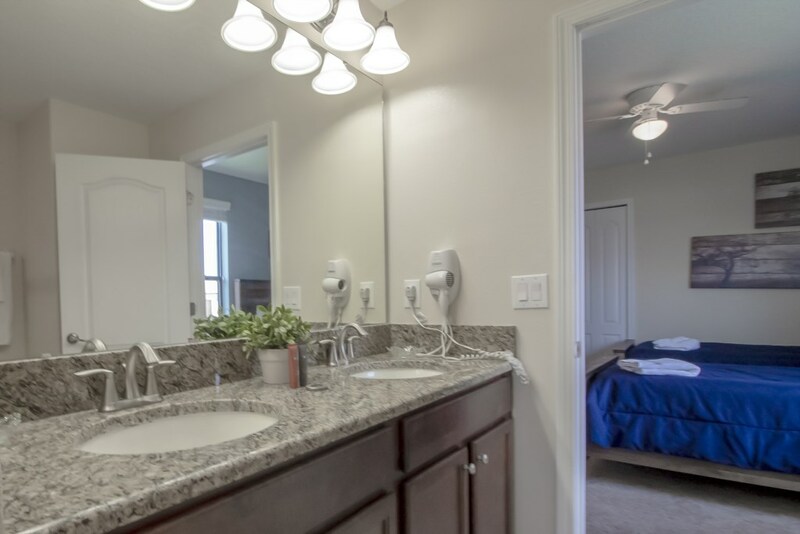 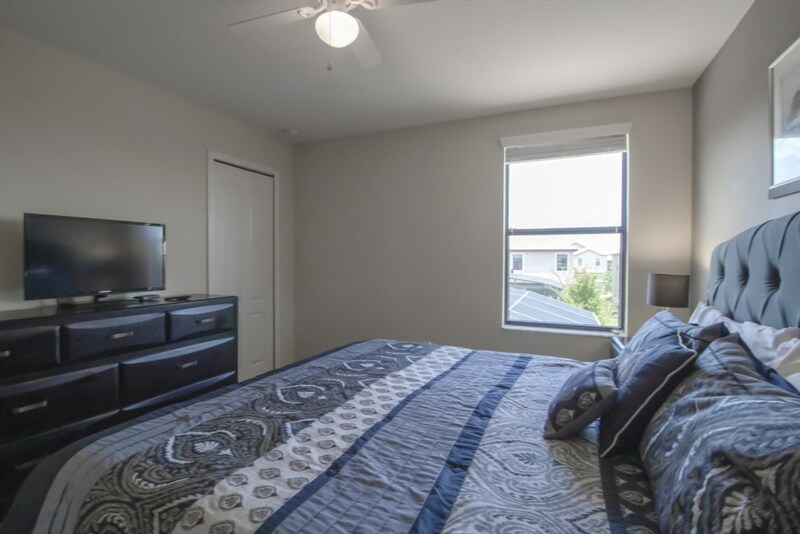 This home also has all amenities that you need: washer and dryer, iron and ironing board, hair dryers, free Wi-Fi and much more! 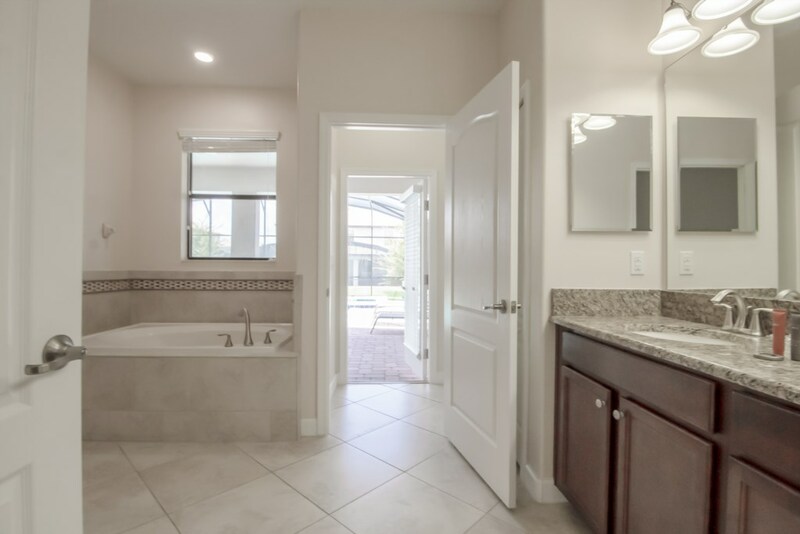 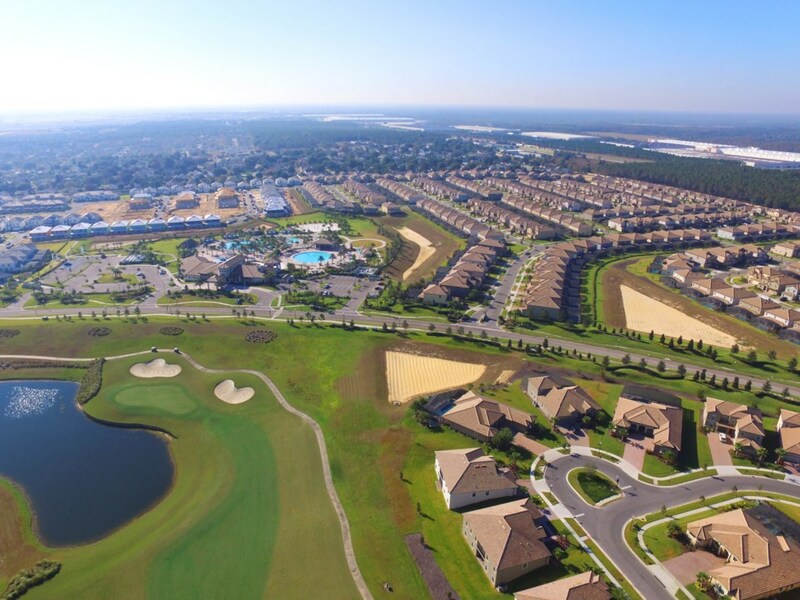 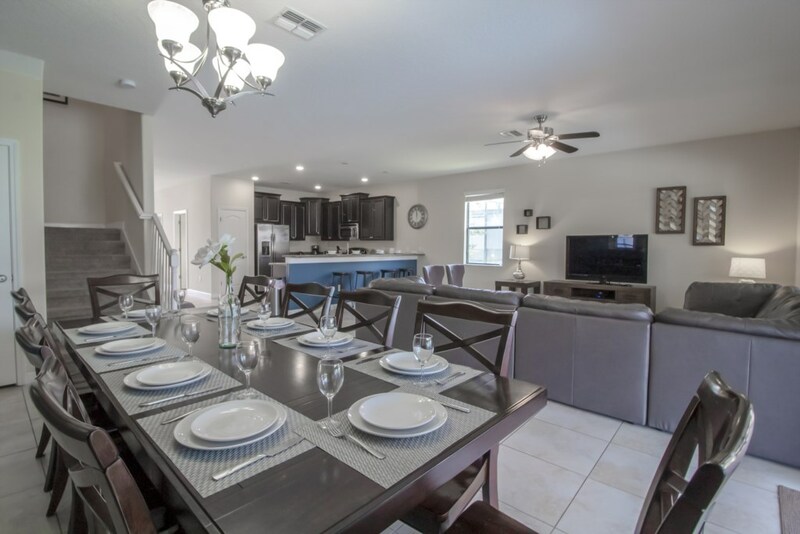 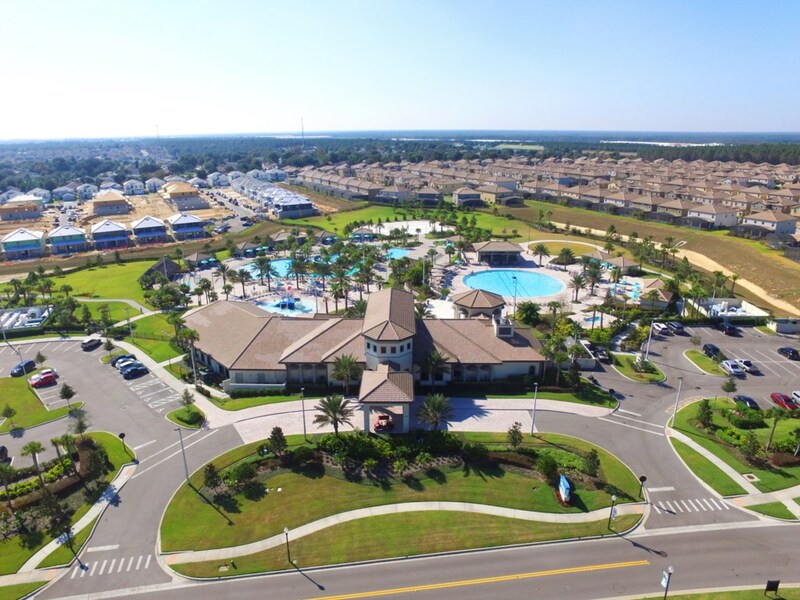 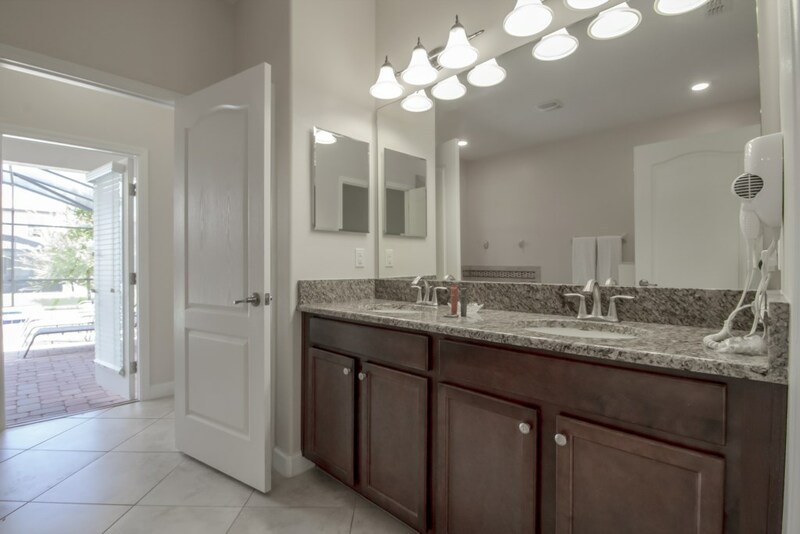 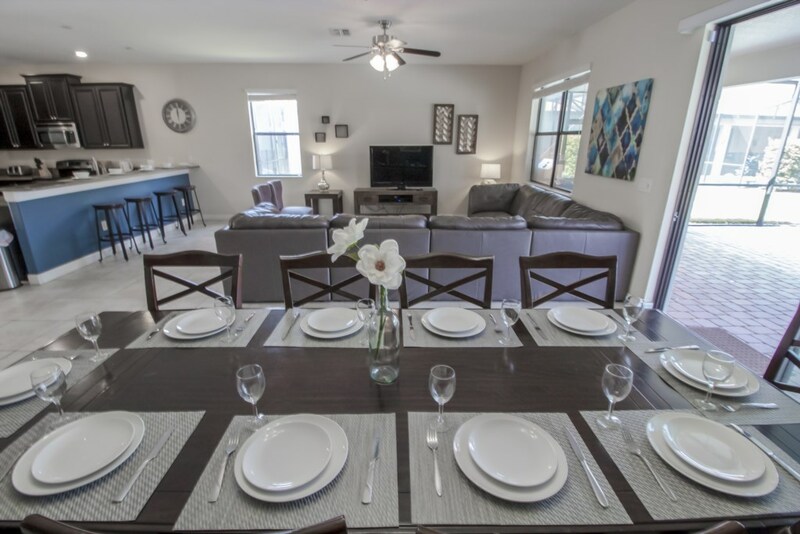 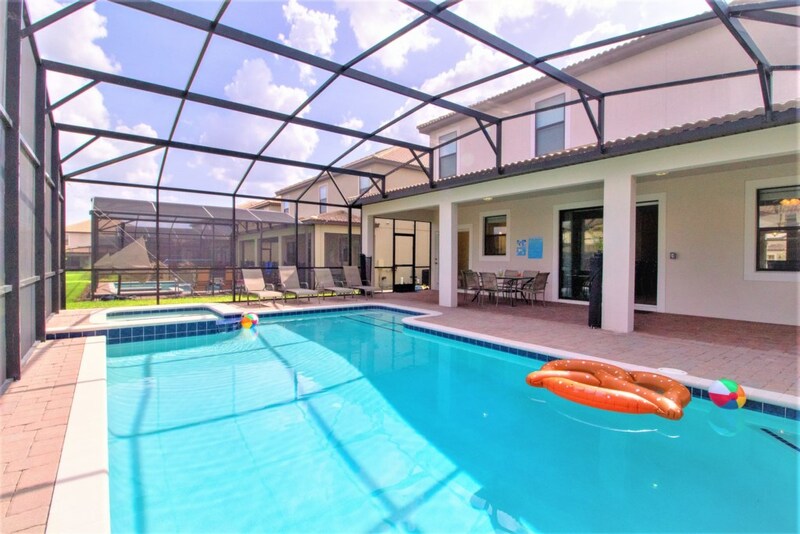 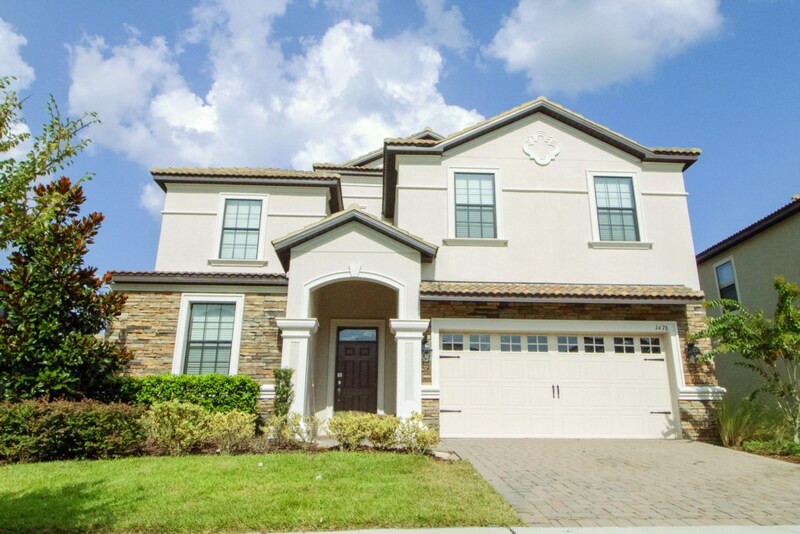 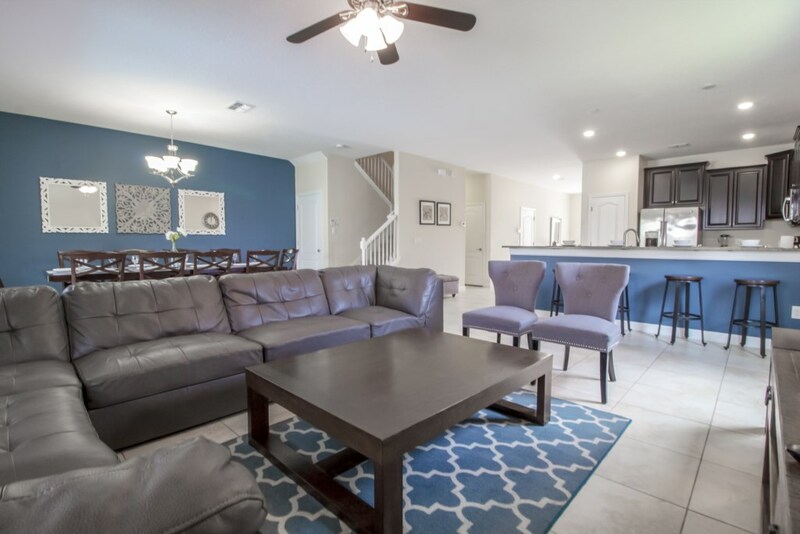 This deluxe house will bring the excitement of Orlando to you and have the kids talking about your trip for months to come! 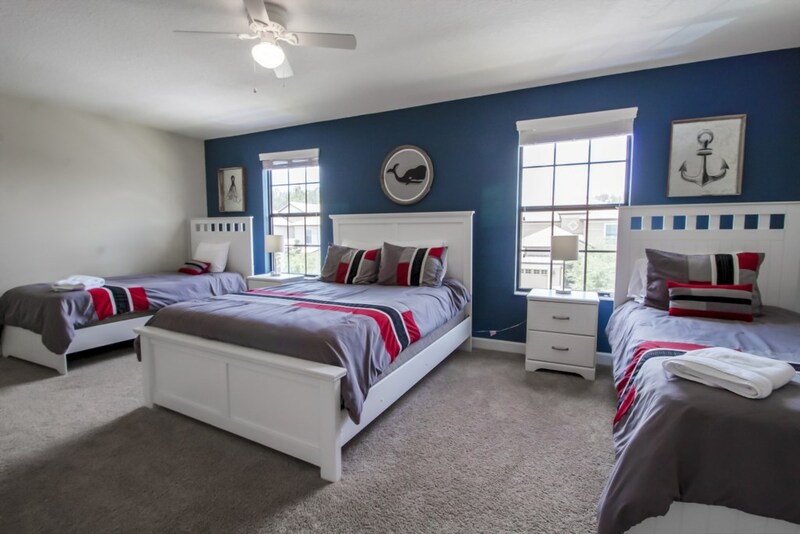 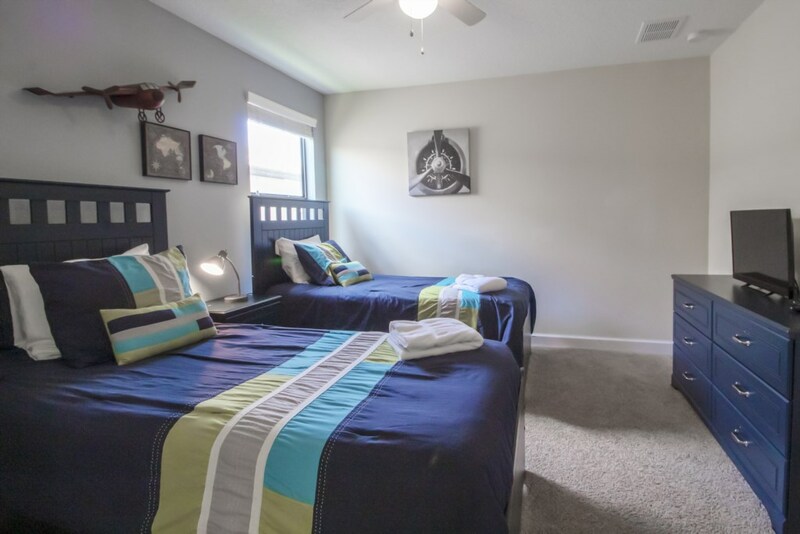 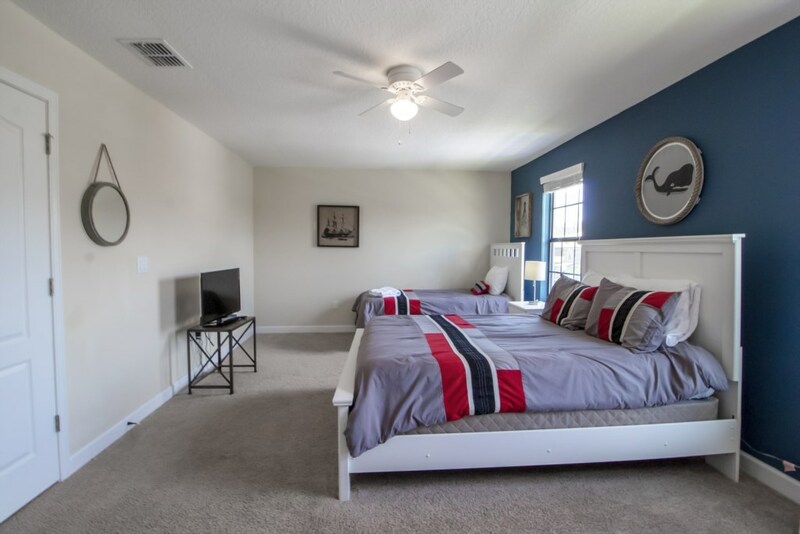 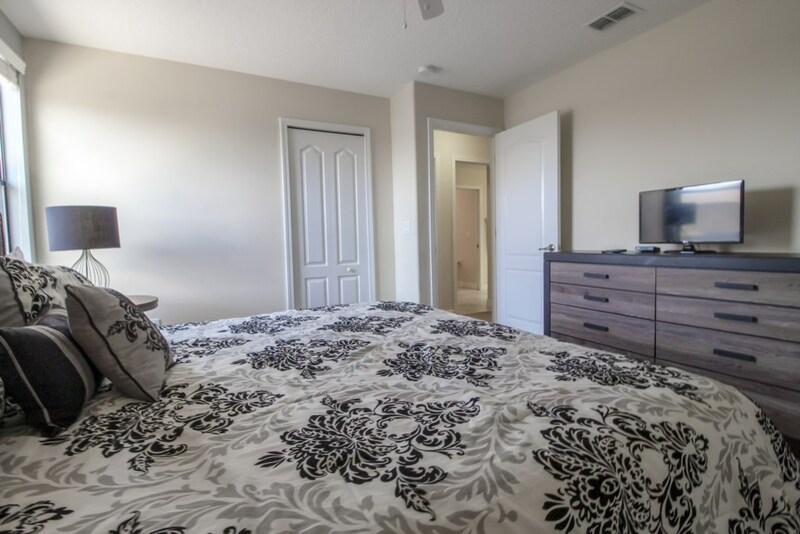 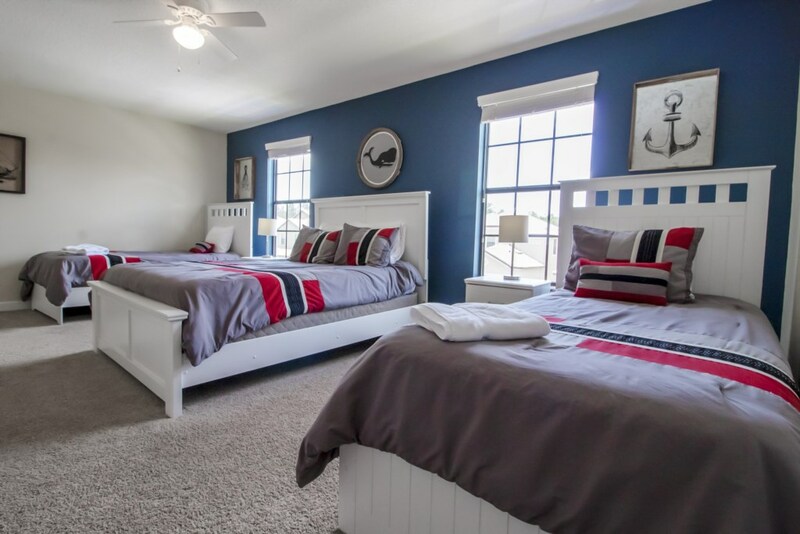 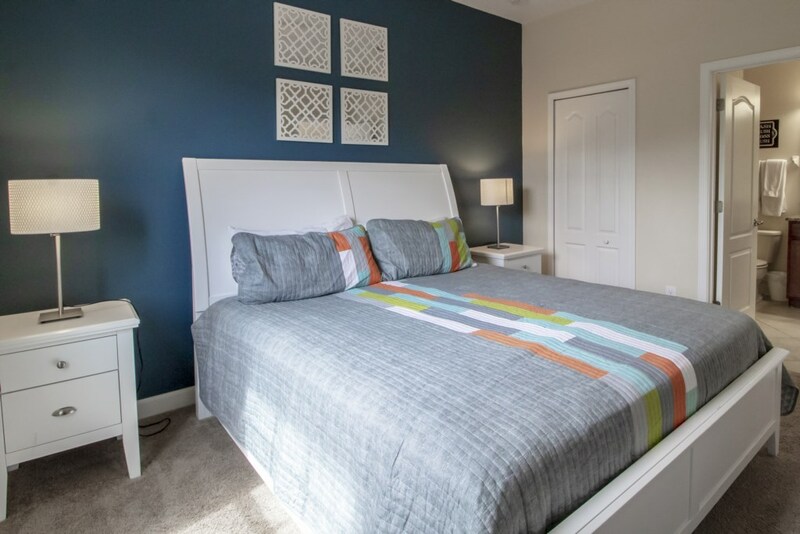 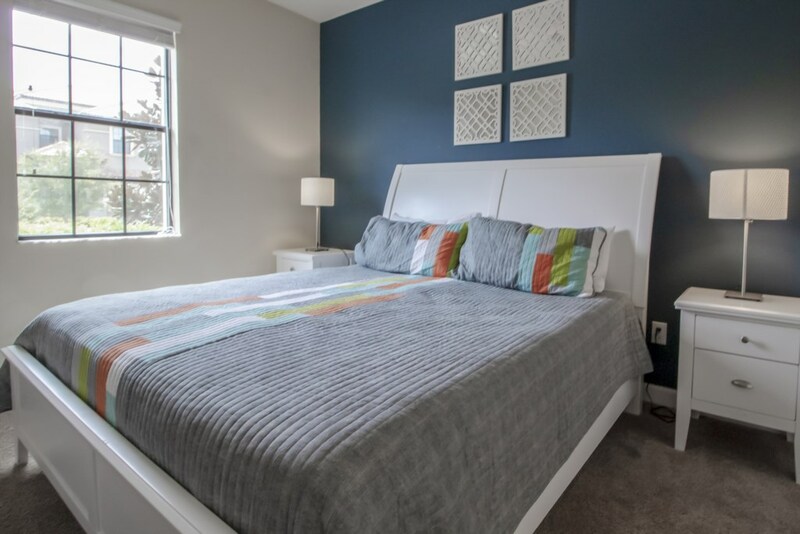 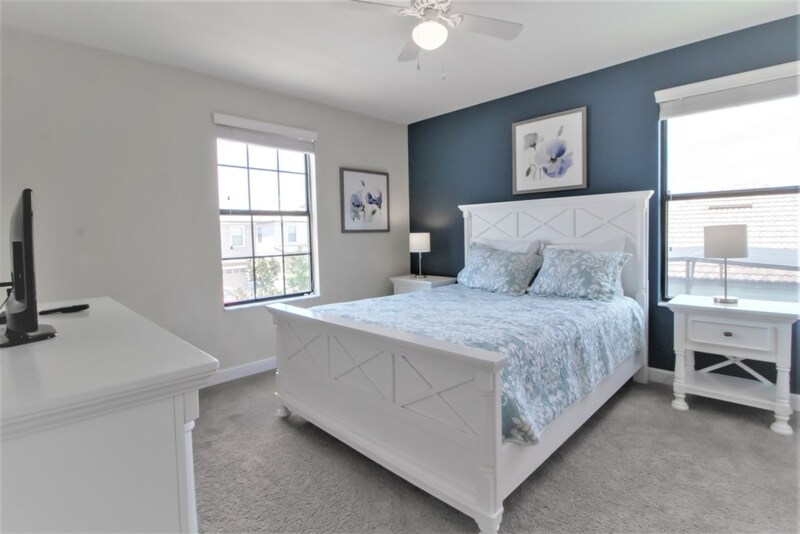 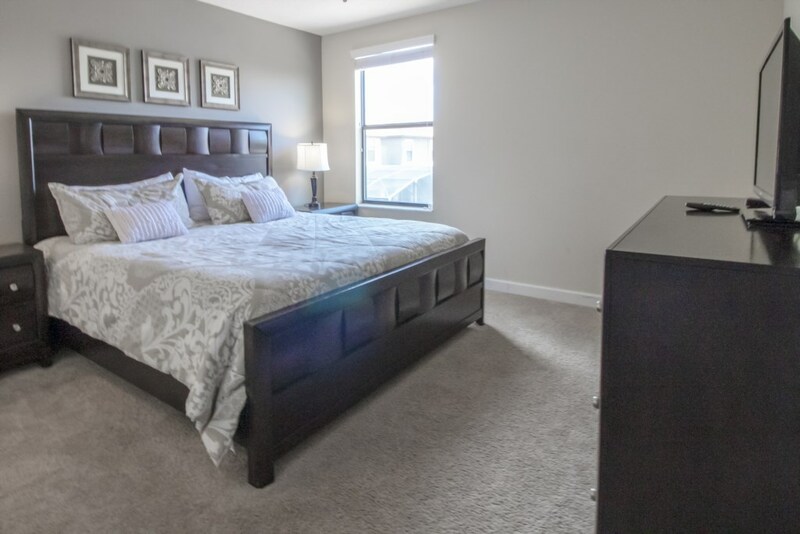 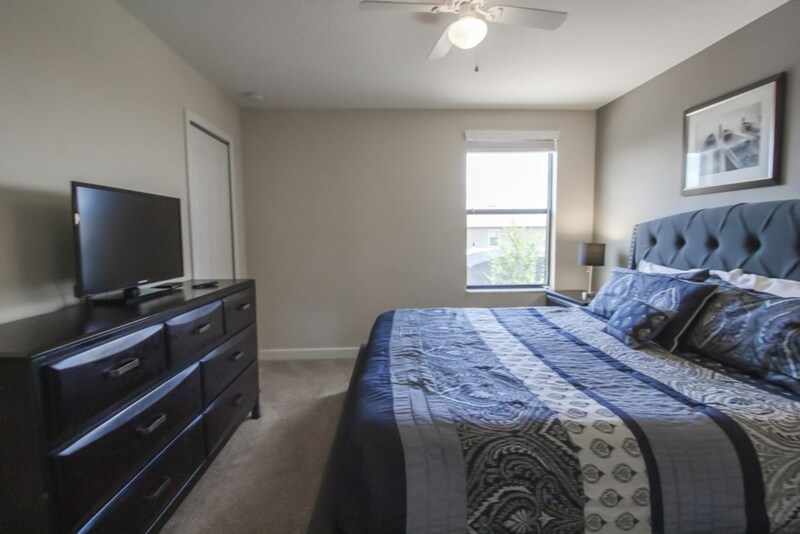 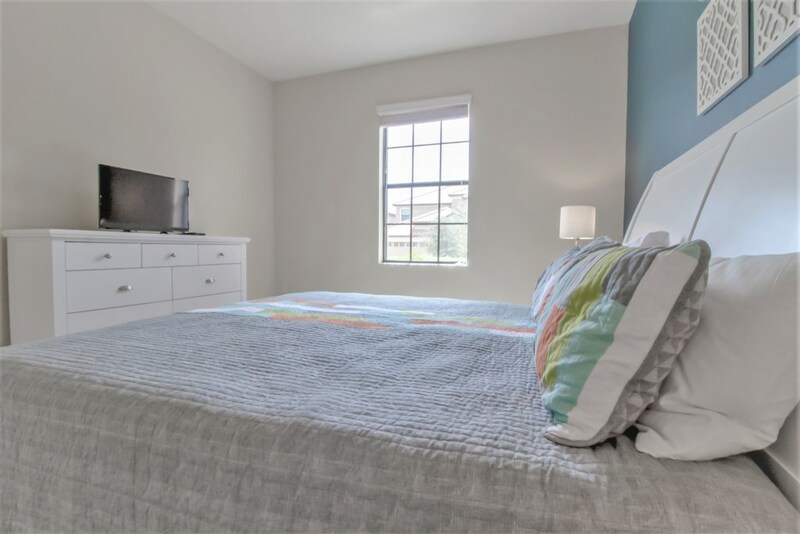 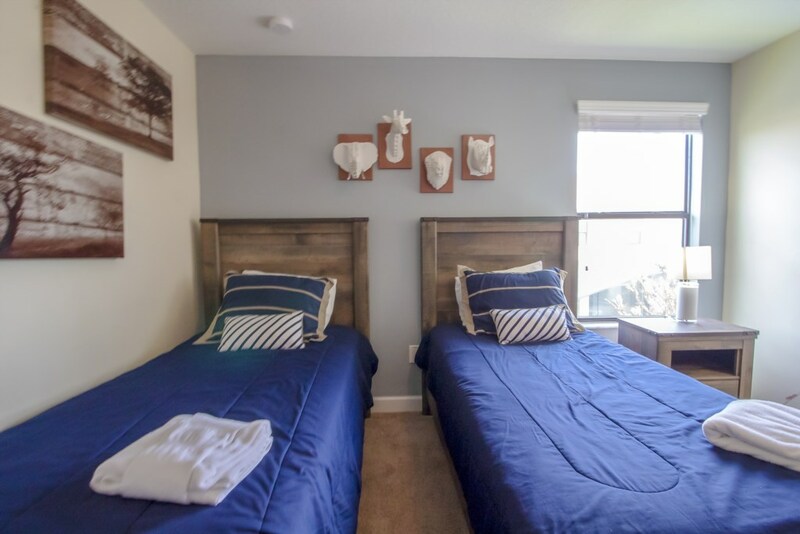 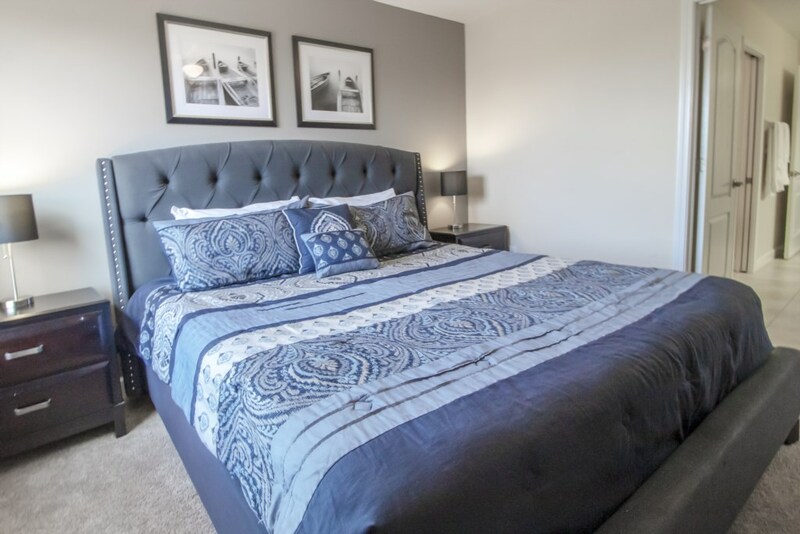 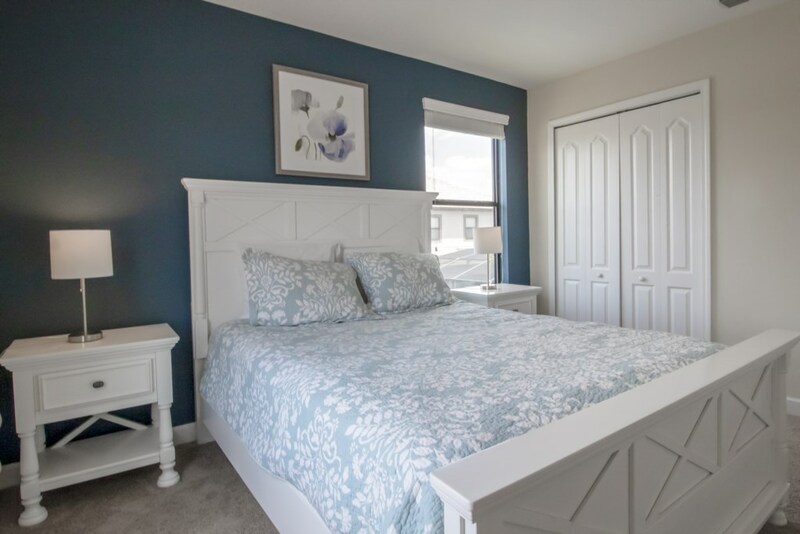 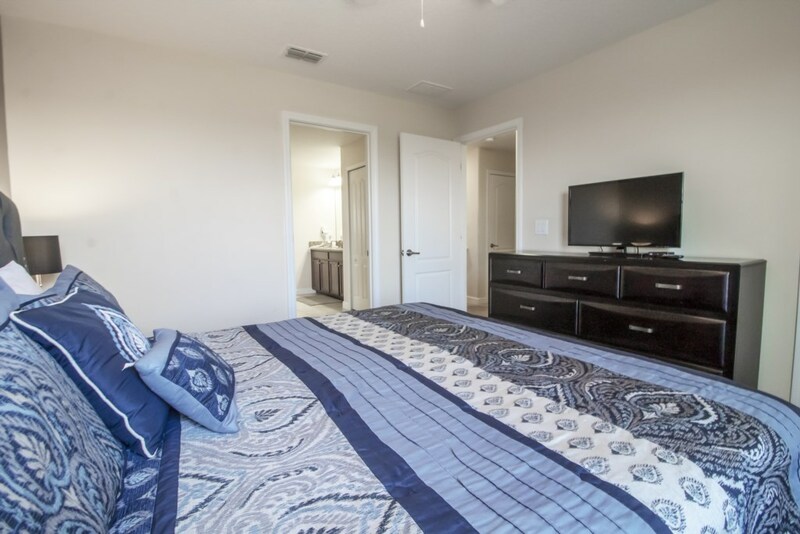 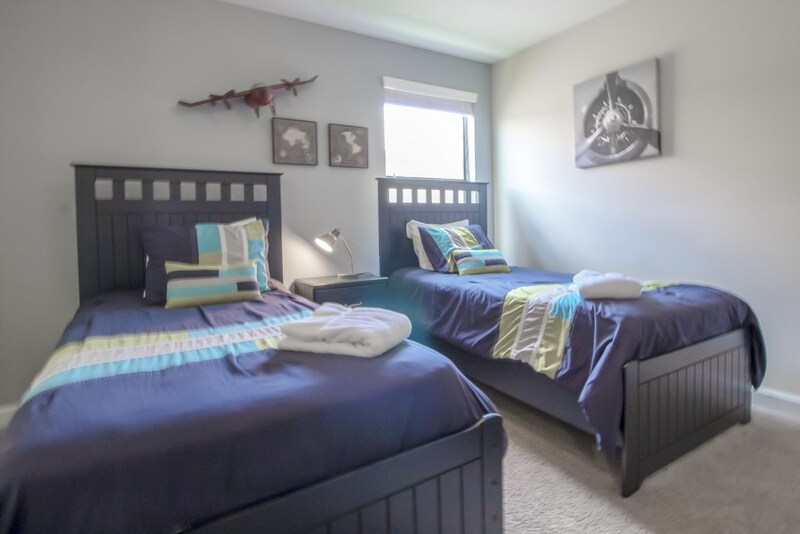 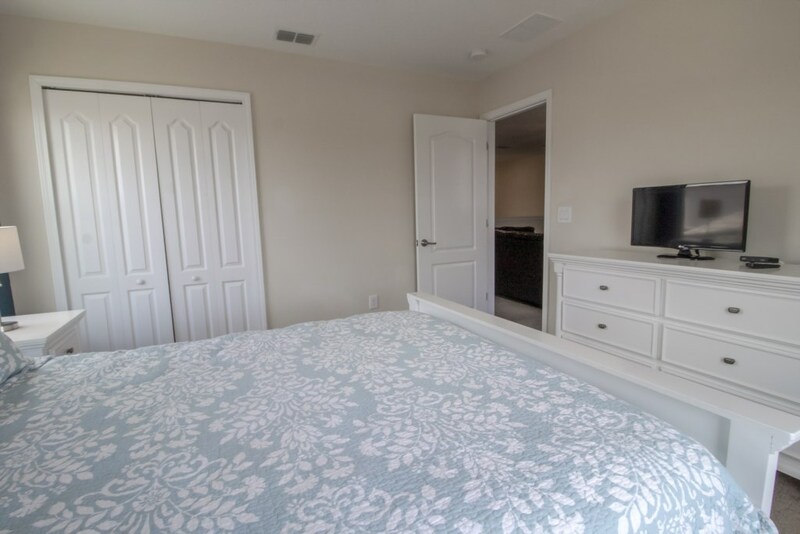 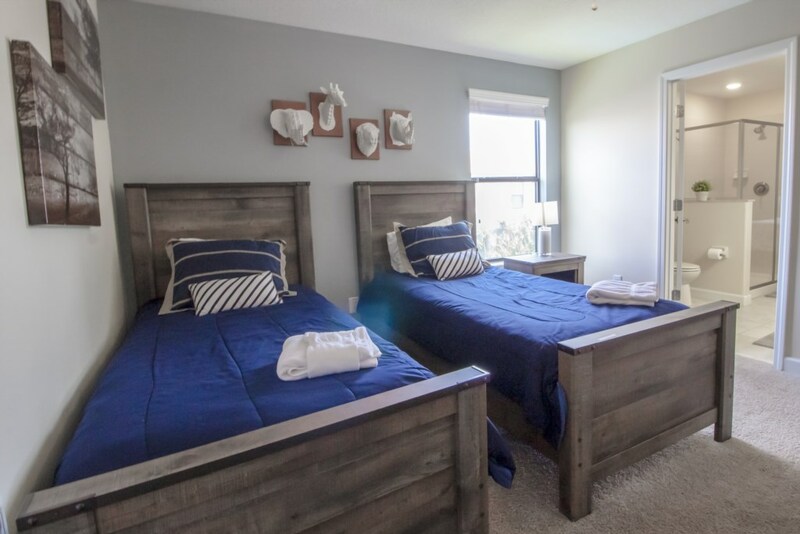 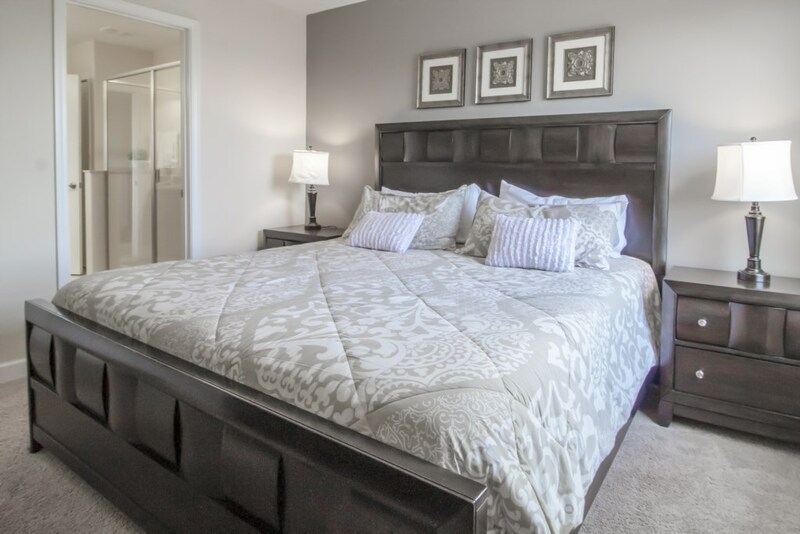 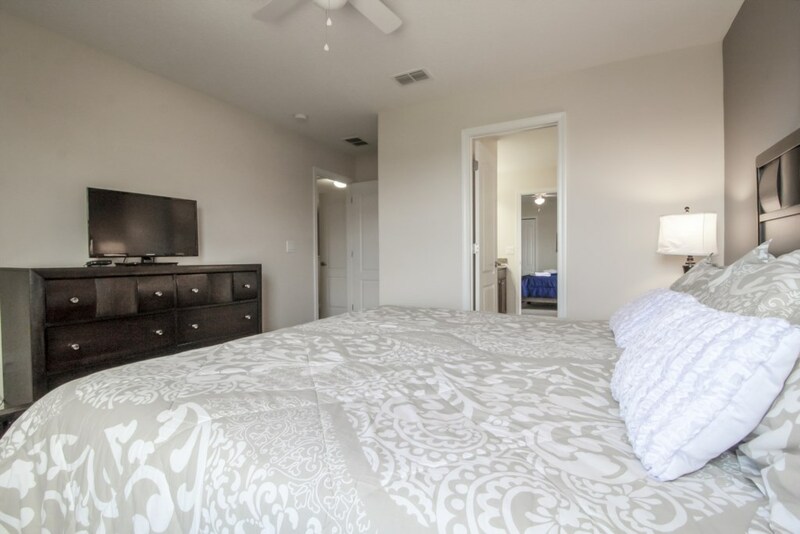 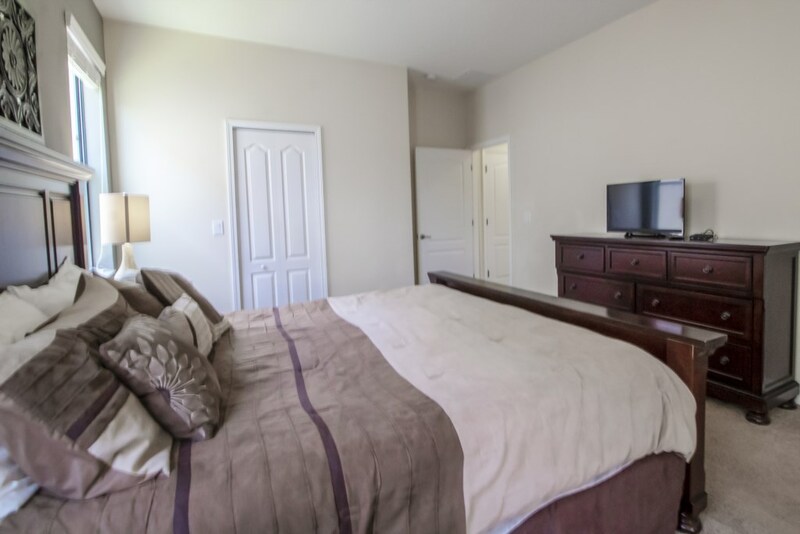 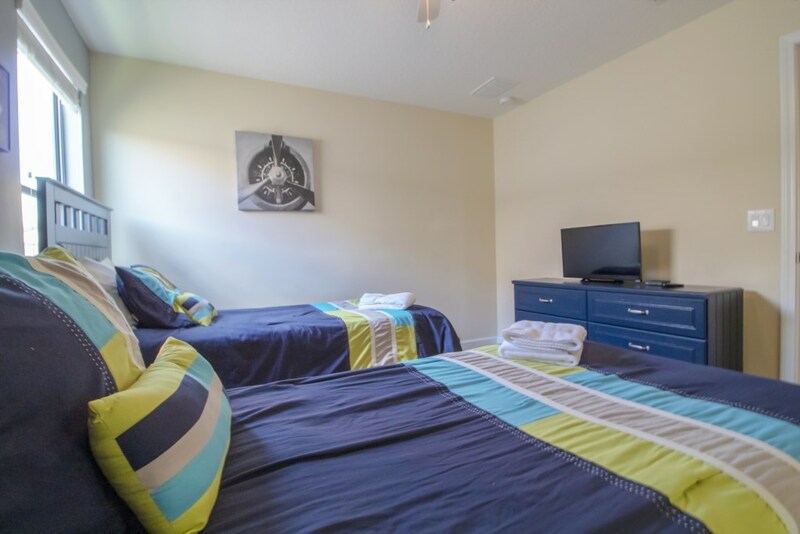 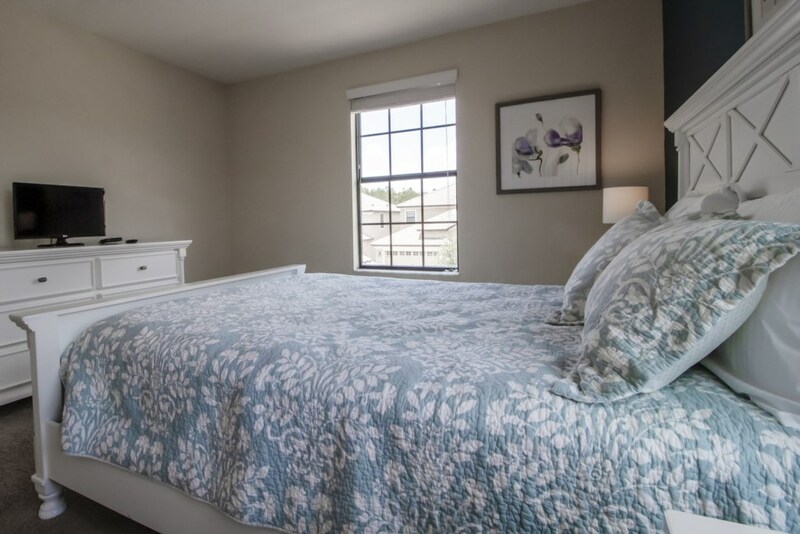 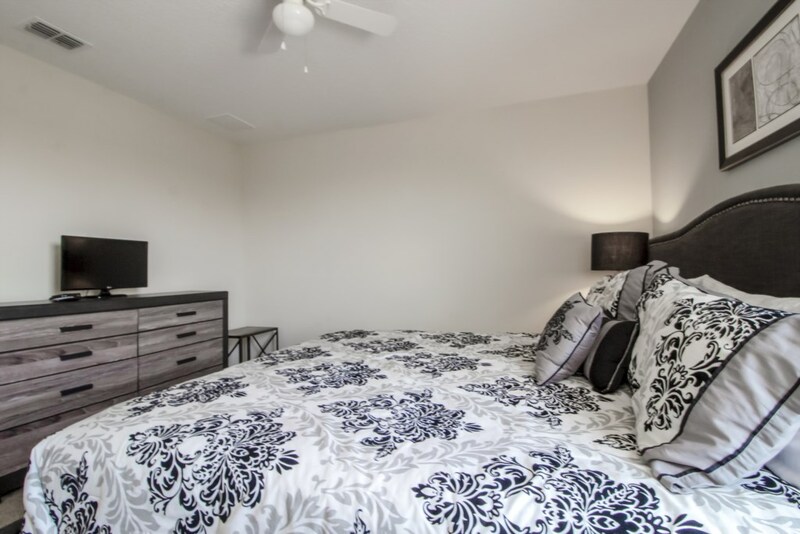 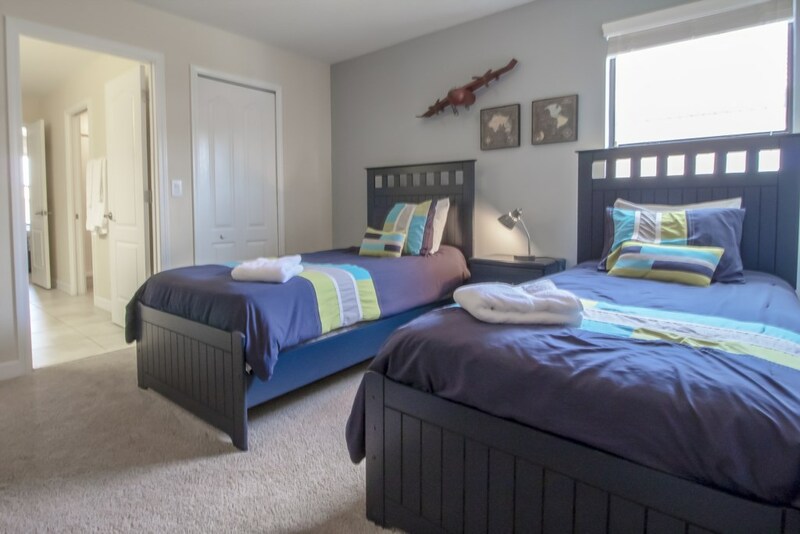 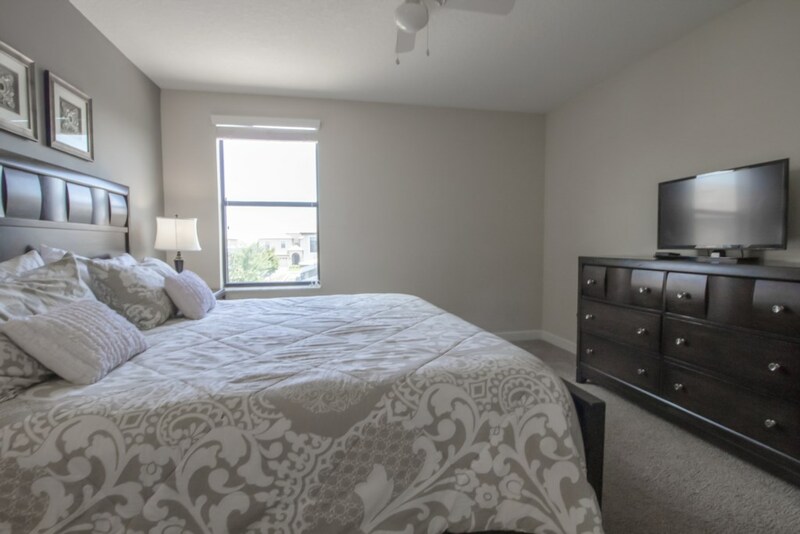 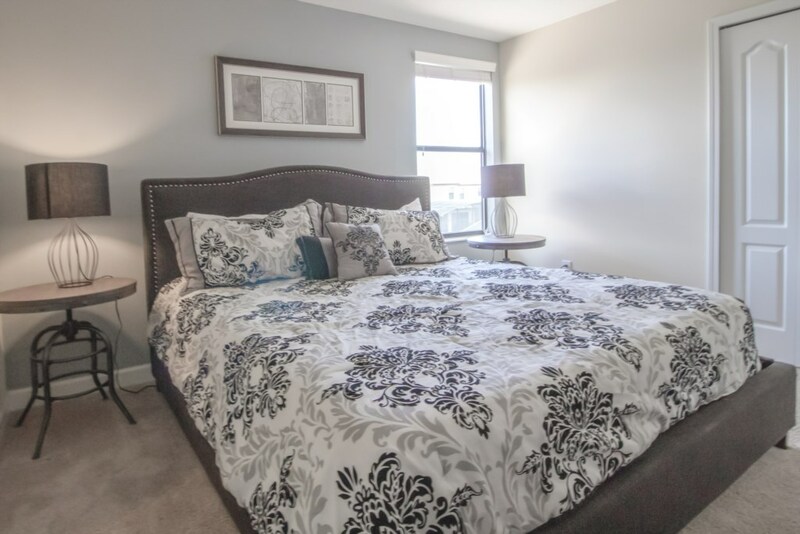 Bedroom #2 (suite): Master bedroom with one King size bed and flat screen TV 27"
Champions Gate is located just minutes from Disney and from the main attractions and theme parks in Orlando. 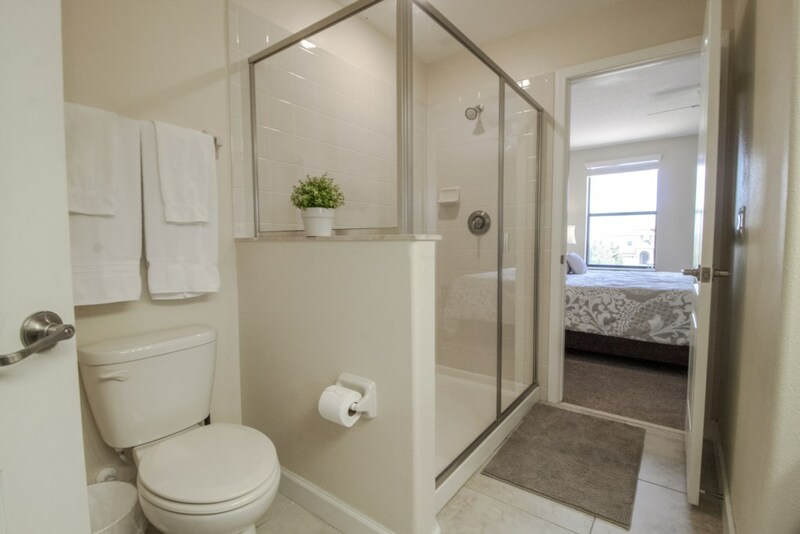 Just off 1-4 making it very convenient and close to everything.